In its present form, this puzzle works best in a (pseudo)Christian setting, but it could easily be adapted to other settings given the appropriate information. 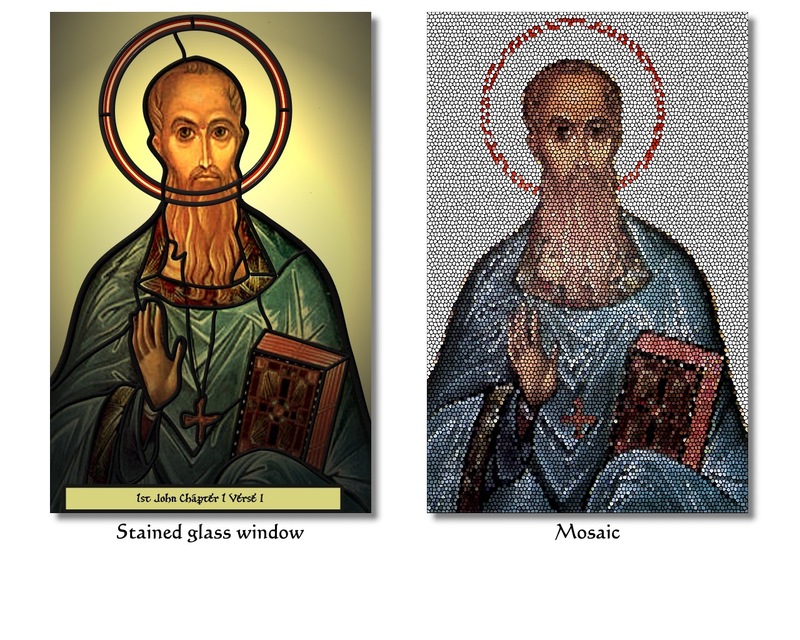 Investigating the mosaic reveals that certain stones can be depressed, namely some on the ears (‘heard’), eyes (‘seen’), hands (‘touched’)and lips (‘proclaim’). Pressing all of these together opens up a secret compartment holding the saint’s bones.